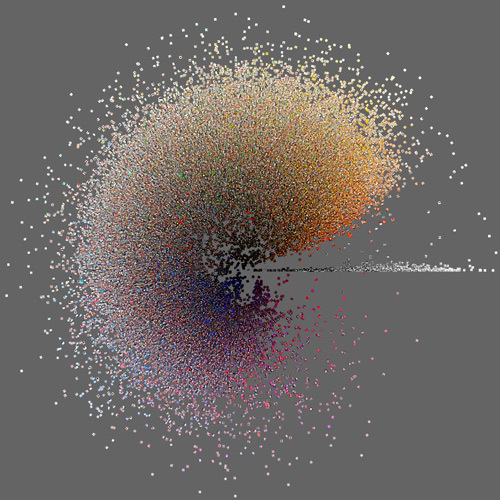 That’s a trial run I’ve done, working with the 900-odd images attached to a range of smart city-related hashtags, scraped over a week last month by my OU colleague Alistair Willis, and run through Lev Manovich’s ImagePlot software. Saturation increases closer to the centre of the image, and hue is distributed much like a colour wheel. Yes, smart cities are mostly either blue or orange!! This is part of my effort to think about different visual methods that can respond – even if only partially – to the sheer scale of image circulation in digital visual culture now. It doesn’t touch on the dynamics of their circulation, but it does suggest, I think, a possible effect of the speed and numbers of images on social media platforms and the casual way in which they’re often seen: that we might see a certain sort of city as a colour field that enacts smart (for example) rather than a set of images that represent it. So the blue and orange mean almost nothing (though not entirely). What they might suggest, though, is something about the feel of the notion of the smart city, as it’s performed through Twitter. What I’m now doing is digging a bit deeper into that ‘feeling’: what does a smart city hashtag on Twitter do with both smart cities and with the hashtag followers? What kinds of affect does it intensify? I think I’m kind of getting towards an answer, but of course I need to do some more reading. And here is my pile of books that I hope will help me think about what thousands of images of smart are and do, getting me away from smart and Twitter specifically and more towards thinking about the intersection of the urban, visual, cultural and digital. I’m also looking forward to reading a roundtable in the online journal Mediapolis, on the urban as an emergent key concept for media theory. I commented in passing in my previous post on the freedom that a blogpost offers: to write more loosely and widely than you can in an academic paper. And along comes an outstanding blog post – well, a blog essay really – that demonstrates that in spades. The post is Daniel Rubenstein‘s ‘What is 21st Century Photography‘ and it’s on The Photographers’ Gallery website. It’s racy, provocative, covers several centuries, is stuffed full of quotable aphorisms, and has a clear argument to make. in a post-Fordist society the locus of political agency and of cultural relevance has shifted from the object – as visually arresting as it might be – to the processes that (re)produce and distribute the object. Processes, however, by their own nature, are less visible and less representational than objects. For that reason, it seems to me that if photography mainly concerns itself with representations of objects in space, it is losing its relevance in a world in which speed, acceleration, distribution and self-replication acquire a significance that overshadows the visual appearance of spaces. Which leads to probably my favourite line in the whole essay. If a photograph is now something that is just occasionally assembled from a wave of data that continually shapes all kinds of visual forms – then, says Daniel: “it has little in common with prints in black frames – these coffins of photography”. ‘Coffins’. Fab. The post has lots of insights and pleasures then, though I wasn’t sure about the ‘invisible puppet masters’ who are our ‘real rulers’, and I did feel that its recuperation of photography in its very final line – “photography is not a stale sight for sore eyes, but the inquiry into what makes something an image. As such, photography is the most essential task of art in the current time” – was bit of a failure of nerve. Maybe photography is just past it? All this interesting provocation is in sharp distinction to what I was going to discuss on this post, which is Nicholas Mirzoeff’s new book on visual culture, modestly called How To See The World. I was sent this by the publisher so I perhaps shouldn’t look a freebie too directly in the mouth… but. The book is bit of a mess, I think. It attempts the sweeping overview but there’s no clear analytical framework, let alone theory, to guide it, and there are also some quite irritating – well, to be frank, just plain wrong – generalisations. One of which is that images now are all about time. (We know this because an artist made an artwork with lots of clocks in it, apparently.) As for example Hito Steyerl, and many others, myself included, argue, it is absolutely necessary now to have a sense of the spatiality of (what is better understood as) visual data, as well as its temporality: its form as a swarm, population or wave; its immersivity; its materialisations; and its geometry as a network. I think one of the difficulties in Mirzoeff’s book is actually that he remains fixed on images as the problematic rather than these sorts of spatialities that articulate their production and circulation and use, so that he flits from place to place, example to example, without thinking about they might (or might not) join up in some way. But that’s my query to Daniel too: what are the geographies to his account? Where does the data move, pause and decay? How is it circulating, and with what effects in different places? And how are places themselves being reconfigured in this process? Thanks to my colleague Rose Capdevila, I’ve just spent a while browsing a site called making selfies/making self, which is both a research project about selfies and about a research project on selfies. If you see what I mean. Created by Katie Warfield, it’s an interesting mix. There’s some information about the research project, an online quiz enabling participation in the research, a gallery of images that might be related to selfies (according to the internet, as Katie describes it), links to talks Katie’s done, and links to other networks, including the Selfie Research Network and a Zotero library on selfies. Katie also curates a related Tumblr feed. Seems to me to be a really neat example of how to do a research project online, which is both open – sharing resources, inviting comments and contributions – but also offering a scholar’s particular take on an issue. 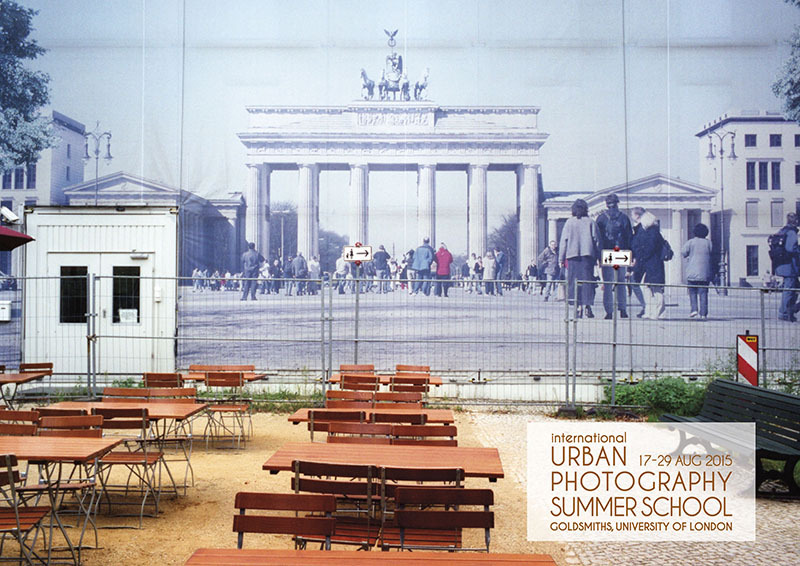 Just got told about the annual international urban photography summer school, happening this August in London, tutored as usual by the fab visual sociologists at Goldsmiths. More information and registration is here. I’ve been spending the first few weeks of this year thinking about how to revise my book on Visual Methodologies for its fourth edition. Among other things, I’ve been thinking about what difference digital technologies – as both topic and tool – are making to its arguments. And I’ve decided on at least one significant change for the fourth edition: the three sites through which the book organises its discussion of visual methods are now four. The site of ‘circulation’ has been added to the sites of the production of an image, the image itself, the site(s) of its audiencing. ‘Circulation’ is intended to emphasise that all images, to some extent or another, travel. Images are mobile, and how they travel matters to what effects they have. This isn’t an insight created by the development in the past few years of massive, extended social networking sites that now carry vast numbers of images between all sorts of different screens. In fact, the keyword that I’ve attached to it in the book is the idea of a “visual economy”, which comes from anthropologist Deborah Poole‘s book on the way images travelled between the Andes and Europe between the seventeenth and the early twentieth century. However, I do think that there are some methodological issues involved in looking at – or even thinking about – those huge hoards of online images that require an emphasis on their circulation. I think it’s important that we pay attention to the work that goes into enabling that circulation, for example, in the workplaces where the labour is done to make those platforms feel so easy to use: the coders and the checkers, the servers and the cables. Also, images on Instagram or Twitter or Facebook aren’t stored in some ginormous virtual contact sheet, and not every image has an equal chance of appearing on a Google Images search result screen. Instead, how those images get seen is shaped by algorithmic patterns. Search results are shaped by your previous searches, by your location, by what other people are also searching; and what you see on Instagram, Facebook and Snapchat also depends on your social network. I think we need to figure out methods that can show us, somehow, the patterns and processes through which those image collections are structured, just as twenty years ago Foucauldian historians like John Tagg and Alan Sekula showed us how filing systems and labels organised earlier forms of photography archives. This is a problem with Lev Manovich‘s cultural analytics, I think: it engages with the huge numbers but does so by adding them all up, and creating collages of the total. This shows us some interesting things – what Tokyo looks like in 50,000 Instagram images is provocative in terms of thinking about what a photograph now is, I think – but it doesn’t engage with the uneven distributions that shape the circulation of social media images at all. I don’t know where methods might be emerging from that could do that, or what they might look like, though – so please post a comment below if you do! we’re all cultural studies scholars now? Rather belatedly, something interesting struck me about the furore in the UK a week or so ago over a tweet sent by Emily Thornberry, now the ex shadow attorney general. 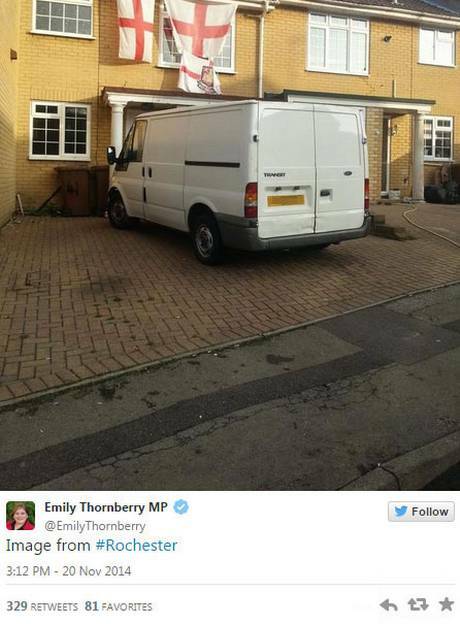 For those of you with short memories or not UK-media-aware, Thornberry’s tweet was criticised for being contemptuous of working-class voters, and she resigned from her shadow cabinet role after a couple of conversations with her party leader. In the online discussion of the tweet, loads of things were happening, of course, but there was something about the whole dynamic of the discussion that I thought was intriguing: the way the tweet swung in and out of being seen as ‘representing’ something. On the one hand, there were a lot of claims – including by Emily Thornberry herself – that the image was meaningless. It meant nothing; the scene had just struck her as something that could be shared on Twitter. Now, we could discuss the conditions under which certain things become noticeable and photographable, of course, but still, given how so many photos are put onto social media in just that way, not as meaning anything, just as a sort of ‘oh look’ statement, ‘I am here’, ‘that is here’, I think her claim has some credibility. Perhaps it really wasn’t an image that meant anything, it wasn’t symbolic, it was purely descriptive, just a picture of a van and flags, a pure “Image from #Rochester”. Its status as pure description also prompted a lot of online discussion about how photographs become meaningful rather than inherently carrying meaning as well. So on the other hand, huge amounts of online work went into interpreting the meanings the tweet implied. The flags, the van, the location: all were decoded, re-coded, explicated, interpreted, repeatedly, by very very many people. And so were the processes through which all that interpretive work was being done, because there was also a lot of discussion about the sort of coverage given to the tweet in and by different media outlets. Noortje Marres has been interviewed on the excellent LSE Impact blog about digital sociology, and a point she makes very well there is that the tools and techniques of social analysis are now widely distributed among many kinds of social actors. As she says, “social actors, practices and events are increasingly and explicitly oriented towards social analysis and are actively involved in it (in collecting and analysing data, applying metrics, eliciting feed-back, and so on)”. She is particularly referring to the digital tools embedded in social media platforms, the internet of things, online transaction databases and the like. But one of the things that the Thornberry tweet affair made evident to me was that the same might be said of the tools of cultural interpretation. Textual and visual analysis, and an understanding of the significance of the role of the media – in the strict sense of the term – are alive and kicking pretty much everywhere, it felt like, as the vigorous debated unfolded. The furore was a sort of mass cultural studies seminar. And if cultural studies has gone viral, what are the implications for those of us who do it – possibly more carefully, certainly much more slowly – in the academy? I came across a very interesting essay by Jonathan Massey in the online architecture journal Aggregate last week, on the Norman-Foster-designed building at 30 St Mary Axe in central London, popularly known as The Gherkin (the building, not the paper). Massey understands the building design as a sustained material engagement with various kinds of “risk imaginaries”, and it’s a very interesting argument. Embedded in the essay, though, was an image by Bryan Scheib, which I found equally fascinating, though Massey doesn’t discuss it in detail. It’s called ‘The Gherkin”, and is one of a series of images created by Scheib as part of a series called Tableau Vivants. 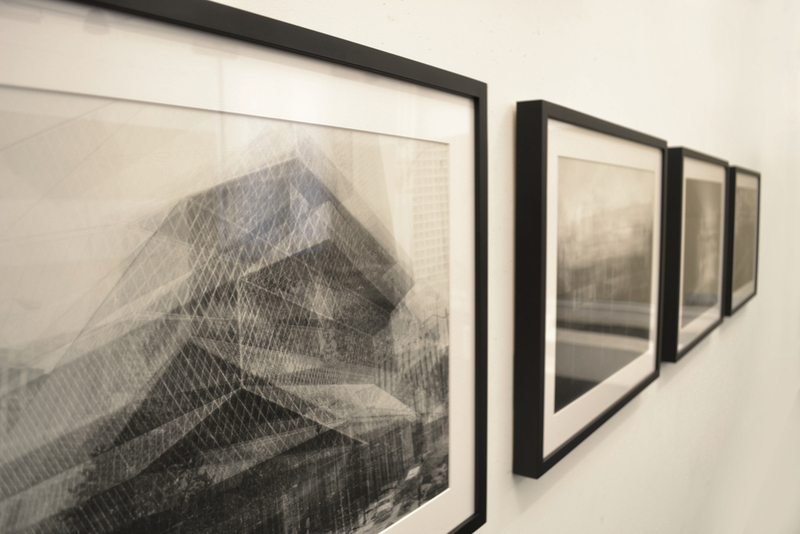 The series is photographic, in that it’s a series of images that are created from photographs: from the most popular user-uploaded photographs of iconic architecture on Google Images. For each building, Scheib has (presumably) transformed them into black and white images and them superimposed them. As well as The Gherkin, I could identify the Guggenheim Museum in New York and Frank Lloyd Wright’s Fallingwater house; others I either didn’t recognise or they’d become so blurred by the repeated overlapping photographs that the building itself was hardly visible any more. These are complex images. For Scheib, they hark back to the ‘tableau vivant’ photographs that were popular in the late nineteenth century as a form of historical narrative (and which were also often composed of multiple photographs collage-ed together). He describes his own images as similarly evoking a narrative, as the buildings are photographed again and again, from a similar angle, so that the images “embody a history of documentation and perception”. For Scheib, then, these images are about temporality. For Massey instead, Scheib’s image captures something about spatiality, in particular the spatiality of urban perception, because they show the “consistency and variation in visual representation that characterizes urban icons”. Both of these interpretations point to some of the effects of these images, for sure. For me there are others too. In particular, they also seem to be negotiating the status of the photograph as a particular kind of object. 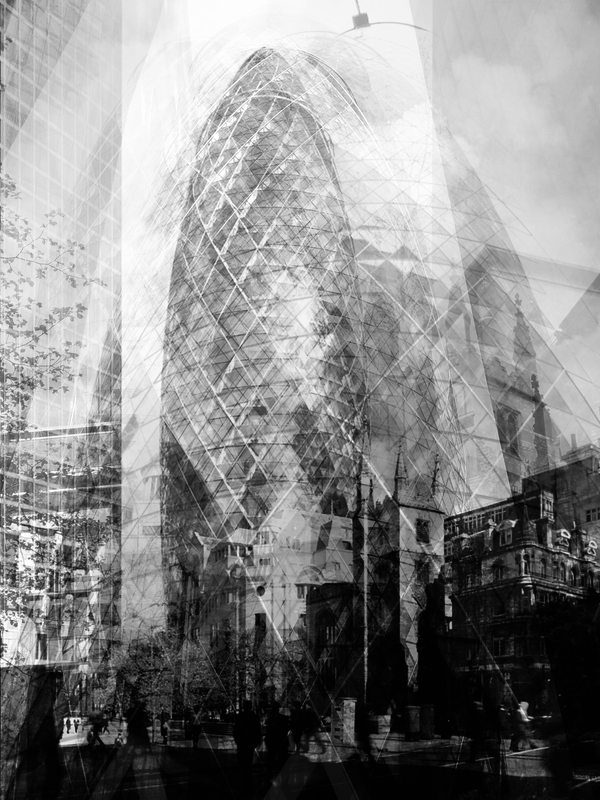 Constituted from photographs, it’s not at all clear to me that this image of The Gherkin can itself be described as a photograph. On the one hand, as a collage of other photographs – and collage has always been used by photographers – it must surely be a photo. But as both Scheib and Massey emphasise in their comments about the mutability of both the temporality and the spatiality of this image, its relation to the object it pictures is much more attenuated than a photograph generally assumes. And while the image is based entirely on what Google can find, Scheib himself seems to be doing some work to assert the image’s status as precious art object: the transformation of the online photographs into black and white surely speaks to the history of architectural photography that played a large part in constituting Modernist buildings as cultural icons in the first place, and his webpages also show the Tableau Vivant series framed on the wall of a the classic white cube gallery. So these images are sliding about all over the place. Slippery temporalities, multiple spatialities, embedded in Google and The Gallery… this makes them very typical of so many images now. And it seems appropriate therefore that Scheib isn’t a photographer: he’s an architect. His website carries several beautiful visualisations of his building projects which also move apparently seamlessly between what were once distinct visual media and genres. Proof, if any more were needed, that, if software isn’t exactly taking command, it’s certainly enabling the dissolution of many of the distinctions between high and low, image and object, then there and now that the photographic bit of our visual culture has depended on for so long.